We have a bit of a different type of show today. Normally, I interview someone about their Pinterest experience and how they are using Pinterest to grow their business. But today, we are veering off in a whole ‘nother direction. Today I am talking to Alisa Meredith, and we are discussing Pinterest Myths. Alisa and I will take 7 of the most common rumors that float around regarding Pinterest, and that you may have heard and believed to be true, and we are dismantling them, so that you can get on with your Pinterest life and continue to create great content! Alisa began her business with website design in 1999, and calls herself a “content marketer with a visual twist.” In 2010, she began working in social media, and in 2012, she became a partner with Hubspot. She has seen some incredible results from using Pinterest marketing, and has been amazed by the power of Pinterest. So let’s get started looking at the things that distract from the primary goal, which is creating great content and moving forward in your business- let’s bust some myths!! 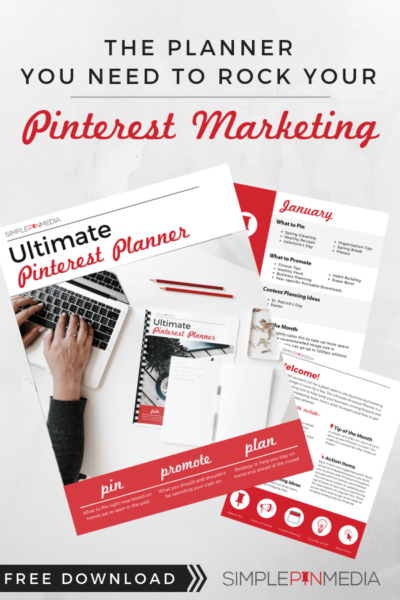 Using a Pinterest scheduler will hurt your page views and so you should only ever live-Pin. Using a scheduler means that you are Pinning without having to be tied to your computer. Who has time to sit down and live Pin twenty times a day? Tailwind is an example of a great API scheduler, and they not only provide excellent analytics for your account but because they know the best times of day for Pinning results, they can schedule your Pins for those key times without it falling to you to be available to live Pin at those times. We’ve tested live pinning as a team for 1-week stints and one month periods of time neither has resulted in immediate or long-term growth. The important part is that you’re consistent on the platform. You should use hashtags in your Pin descriptions. Pinterest says of hashtags, “They tend to confuse people and send them to other people’s content.” If you are working with a brand and have a specific hashtag for that campaign, then by all means use it. Otherwise, you are likely driving folks away from your own content to that of others. And why would you do that? You should Pin 100+ times per day. Pinning more doesn’t equal gaining more pageviews. Strategy is what gains you pageviews. If you want to increase follower numbers without pinning tons of times per day you have two options — pin strategically giving your followers exactly what they want AND install the MiloTree app. Pinning more doesn’t equate to gaining more pageviews. Strategy is what gains you pageviews. So how many times per day should you Pin? Alisa and I both agree that 5-10 Pins per day is a great starting point, but instead of getting stuck on more Pins, focus on Pinning quality Pins. Once you start gaining some traction, and you have more content to share, you can always slowly work your number of Pins up. Consider though, that Pinning more than 30 times per day has not shown a marked increase in pageviews. Here’s a great post where we broke down pinning frequency. Deleting Pins will help you show up in Smart Feed and will help you gain more traffic. Trying to find “tricks” or “hacks” to help you “beat the system” will never work. If you have a smart Pinterest strategy, you won’t be Pinning content that isn’t directed to your specific audience. If that content is good enough to be Pinned to start with, then it is good enough to leave and wait for it to pick up movement; and that movement may take a month and it may take 6 months. The only reason to delete Pins is if you need to clean up your boards and make them reflect your content better. (If you are moving toward being a healthy food blogger, you may want to delete all those chocolate cake Pins from before.) Streamlining for a purpose is fine; trying to find a way to “work the system” is not. Group boards don’t work anymore. Group boards must be evaluated to see if they are still a good fit for you. Here is a post on cleaning up your boards if you need to do that. Collaborating with people in your line of business is also a great way to join relevant group boards. By creating a secret board with those fellow creators, you have access to all of their content to Pin, and likewise they have access to all of your content. Be sure to have plenty of your own personal boards on your page; around 70% is a good number to shoot for. If you only have group boards, then you aren’t giving your audience a way to get to know you. Pinterest will penalize you for switching to a business account by not showing your Pins, and making you pay for advertising. Pinterest is a discovery engine, and they want people to find great content on their site. Creating a business account will help you to gain so much, from Promoted Pins, Rich Pins, analytics, etc. Pinterest actually rewards business accounts, and you can be certain that your content will be seen when you convert your personal page to a business one. Pinterest will drop my Pin views after a promoted Pin campaign, in order to make me keep paying. If you think about what a promoted Pin campaign does, it is exactly the opposite of this myth. Once you promote a Pin, then every time someone re-Pins it, it goes further and further out to more people. Even when your campaign ends, those re-Pins stay out there and continue to get spread organically. If you want to hear about Promoted Pins from Pinterest themselves, be sure to listen to Episode #9 with Mary Diamond. Pinterest doesn’t give you immediate gratification or results. Pinterest is a “slow burn”, a long term solution. You have to be willing to wait for the results, and that traffic will keep going up once your Pins start getting circulated. So, be patient. You bet! It was such a fun episode. I know that using a scheduling app doesn’t affect results, but I’ve heard that we should still keep engaging live on the site. What is a good amount? 2-3 days/week? 30 minutes at a time? I know some people use their Likes box as a “save for later” section, but is it good also to use it just as a means of engagement? Are there any other ways to engage besides save, like, and comment? Thanks for your help! As far as engagement, I aim to follow a few people throughout the week, pin a few live via my phone and then just spend some time browsing. I like to use the platform for recipes and other things so doing a search every now and then is a good idea too.